B. 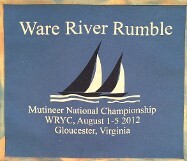 “The Class Rules” shall mean the rules relating to measurement, construction, and racing conditions governing the initial building of each Mutineer and its ratings as a recognized boat within the Class for Class racing purposes. C. “The Class Register” shall mean the register of Mutineers and their owners. A. Provide a medium for the distribution of information and publicity pertinent to Mutineer sailboats. B. Maintain the one-design characteristics of the Mutineer Class sailboat. 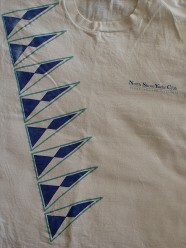 C. Encourage and foster the enjoyment of the social, sporting and recreational aspects of sailing. 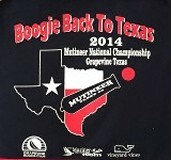 D. Promote and develop Mutineer Class amateur racing competition locally, and nationally under uniform rules. E. Maintain a Class and Association register. F. Govern the affairs of the class. B. 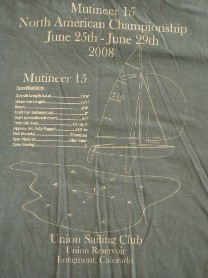 Full Membership in the Association shall be open to any owner of a Mutineer. C. In the case of joint ownership, only one vote shall be allowed and may be exercised by the owner first named upon the Register of the Association. D. In cases where a boat is owned by a corporation or a service organization, a representative member of that organization may exercise a vote. E. Each Full Member shall be entitled to one vote at a membership meeting or in any official ballot. F. Associate Membership shall be open to any person having an interest in the Association or in the Class. G. Honorary Life Membership shall be open to any person having an interest in the Association or in the Class, who is nominated and seconded by Full Members, and is elected by a majority of the members at any general meeting of the Association. H. Associate and Honorary Life Members shall be entitled to attend and speak at any general meeting but may not vote. I. All Members shall be bound by the Constitution, and Class Racing Rules. A. An Executive Committee of six (6) Full Members of the Association shall manage the affairs of the Association. The Committee shall have the authority to appoint individuals to fill vacancies occurring among the committee during their term. B. The Executive Committee shall consist of a Commodore, Vice Commodore, Secretary, Treasurer, Publicity Chairman, and Racing Chairman. C. The Commodore, Vice Commodore, Secretary, Treasurer, and Publicity Chairman, of the Committee are to be elected at a General Meeting of the Association to serve a two (2) year term, taking office upon election. D. The Commodore and Vice Commodore will be elected in the same year. On alternate years the Secretary, Treasurer, and Publicity Chairman will be elected. E. The Racing Chairman will be appointed by the Committee. F. At meetings of the Committee, three (3) shall constitute a quorum. G. The Committee shall make recommendations to the members in general meetings for alterations, or additions to, the Constitution and Rules of the Class. A. The Commodore will act as chairman of the Association. B. The Vice Commodore will substitute for the Commodore and will be chairman of the Technical Committee. C. The Secretary will keep minutes, and records of all Committee and membership Meetings and shall be responsible for communicating the decisions of the Committee to members and others in such terms as the membership may prescribe. D. The Treasurer shall be responsible for all funds, making such disbursements as the Association requires. The Treasurer will present a current financial statement at the annual meeting, and will also maintain the class register. E. The Publicity Chairman will be responsible for all Class Publicity including oversight of the Class website and general promotion of the Class. F. The Racing Chairman will be responsible for organizing and conducting all Association sanctioned regattas, assuring that joint decisions are made between the host club(s) and the Executive Committee. a. They will liaison with the designer and manufacturer on quality control problems. c. They will appoint the Class Measurer. 2. 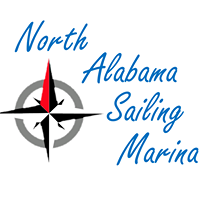 The membership will consist of one (1) representative of the boat manufacturer and one (1) representative from each class recognized local fleet. 3. The chairman shall vote only in the case of a tie. a. 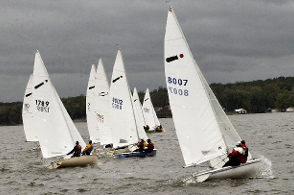 The Class Measurer will be responsible for the accurate measuring and recording of all boats entered in class-sanctioned events to determine whether they are in compliance with the Class rules. b. Any Full Member will be eligible for this position. c. They are empowered to issue rulings on questionable changes to any boat until the Association and/or the Designer can rule on such changes. A. The Executive Committee may establish additional ad hoc committee as needed for various projects. B. The Executive Committee may appoint individuals to accomplish specific tasks as needed to benefit the association. A. A general meeting of the Association shall be held annually; the precise date, time, and place shall be determined by the national regatta, or at the Committee’s discretion. B. A Special General Meeting shall be called by the Commodore upon receipt, by the Secretary of a request in writing and signed by not fewer than five Full Members of the Association. C. At least thirty days notice shall be given of any General or Special General Meeting. D. At the annual membership meeting, decisions shall be by majority vote, voting to be by a show of hands, unless a poll is demanded by no fewer than three of the members present. Elections shall be by secret ballot. E. At any General or Special General Meeting, seven Full members shall constitute a quorum. F. Any proposed changes to the Constitution, or Class Racing Rules shall be made by formal vote where a two-thirds majority of the votes received would be necessary to pass the changes. Postal and electronic ballots will be used. A minimum period of three weeks must be allowed for postal ballots between the date when ballots are mailed and the closing date of the vote, which shall be indicated on the ballot. A. The amount of the annual dues shall be set at a General Meeting. B. The membership year is November 1 through October 31. C. New members joining after the current year’s National Championship in one year shall be valid to the end of the following membership year. A. No Mutineer shall be entered on the Class Register unless a licensee, or a sub-licensee of the designer’s company has built the hull. A. “Valid Certificate” shall mean a certificate issued by the Association once the boat has been measured and found to meet class specifications. B. Measurement certificates will be issued automatically to new boats constructed by builders franchised by the designer. C. The Certificate shall not be invalid upon change of ownership, but the new owner must apply to the Association for a fresh Certificate in his own name after the relevant requirements have been duly complied with. 12. Authority of Copyright Holder. A. 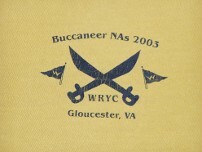 Notwithstanding, anything to the contrary in the foregoing rules, any action or decision of the Officers, Committee, or members of the Class, which may be in any way connected with the cost and/or specifications of the Mutineer, shall be made subject to approval by the designer’s representative. B. “Copyright Holder” shall mean any builder holding a valid license or sublicense under the Copyright to build or assemble the MUTINEER dinghy, and the Committee shall be satisfied as to the status of any licensee upon being notified in writing thereof by the designer’s representative. 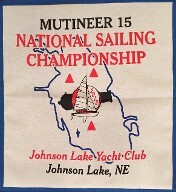 It is in the interest of this organization to preserve the one-design character of the Mutineer in order to ensure uniform equipment in competition and, so far as possible, to delay obsolescence of individual boats. 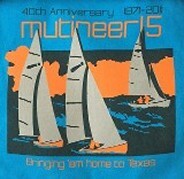 Since the design of the Mutineer is the creation and property of the designer’s company, this association can claim no rights to cause any changes in dimensions or construction of the Mutineer. 1. He shall franchise reliable and skilled professional builders, and shall satisfy himself that their construction methods are satisfactory. 3. His approval shall be required for any modification in construction or materials proposed by any franchised builders. With the above critical features hopefully under control, the association will be concerned with ensuring that individual owners do not alter the design of the boat. 13. Special Rules Governing Local Fleets. 1. 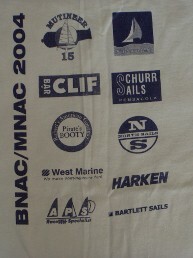 A Fleet Charter may be granted by the Executive Committee upon written application of three, or more members that are also Full Members of the MCA. 1. Upon formation, a fleet may elect officers and make these officers known to the Class Secretary. 1. 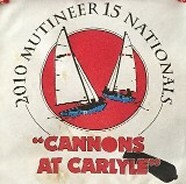 Fleet membership shall not be based upon membership in the Mutineer Class Association. 2. Where more than one fleet is geographically convenient to a MCA Member, he may join the fleet of his choice. 3. A MCA Member may not maintain membership in more than one fleet. 4. The fleet Secretary shall keep the MCA Secretary informed of the fleet membership list. 5. A MCA Member must also meet any other local fleet requirements necessary for membership. 6. At the discretion of the local fleet officers, fees may be collected for membership in local fleets. This Constitution, referred to as the Mutineer Constitution, shall become effective on the First Day of November 2003. In the event the Association shall dissolve, the Board of Governors shall, after paying or making provision for the payment of all of the just liabilities of the Association, dispose of all of its assets to such organization or organizations organized and operated exclusively for charitable or educational purposes as shall at the time qualify as an exempt organization or organizations under Section 501(c)(3) of the Internal Revenue Code as amended, as the Board of Governors shall determine.